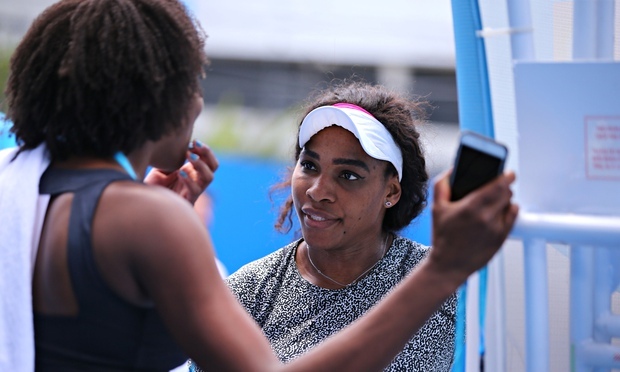 Not through yet making history in women’s tennis – both Williams sisters made comebacks in their third round matches to move into the quarters at the 2015 Australian Open. 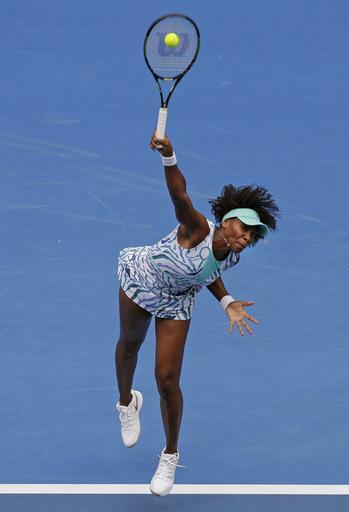 First up was Venus who beat Camila Giorgi 4-6, 7-6, 6-1. 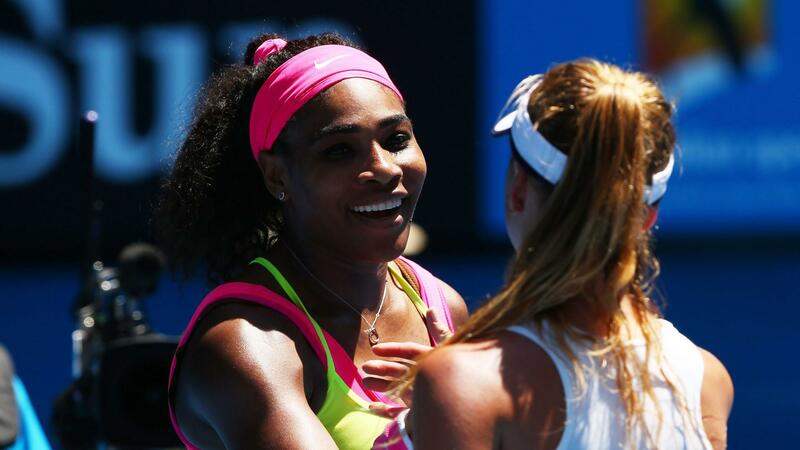 Then little sister Serena came from a set down to beat Elina Svitolina 4-6, 6-2, 6-0. 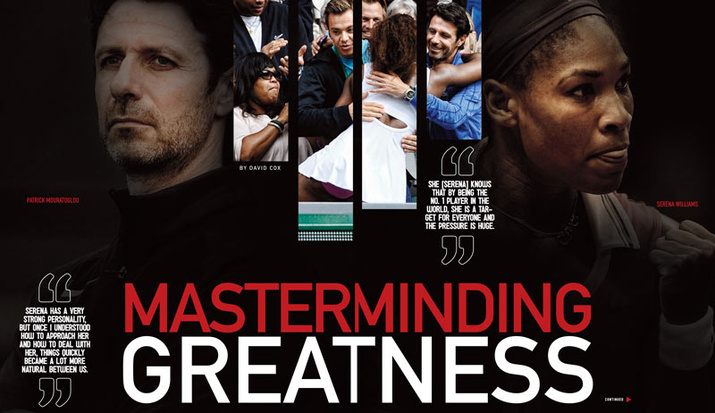 While both possess the most powerful/lethal serves ever seen in the game, their close bond continues to ‘serve‘ them best as they inspire one another to reach to the highest level of their ability! 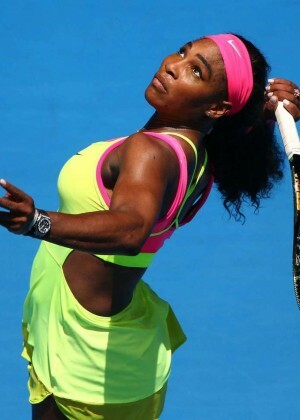 “…feels fantastic especially when things happen in your life that are not in your control,” Williams said in reference to her struggles with Sjogren’s syndrome, an incurable auto-immune disease that can cause joint pain and fatigue. 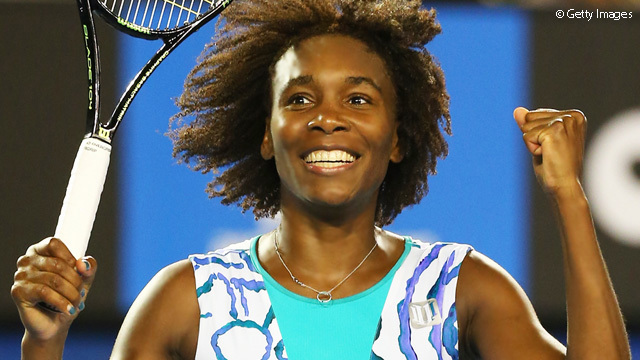 “But I don’t want to stop now, I want to keep it going,” Venus added. 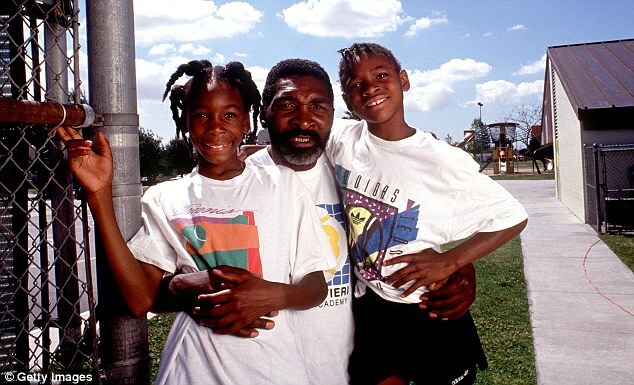 “I’ve been motivated by Serena though since day one, since ’97. She’s always been I think someone that anyone can learn from. 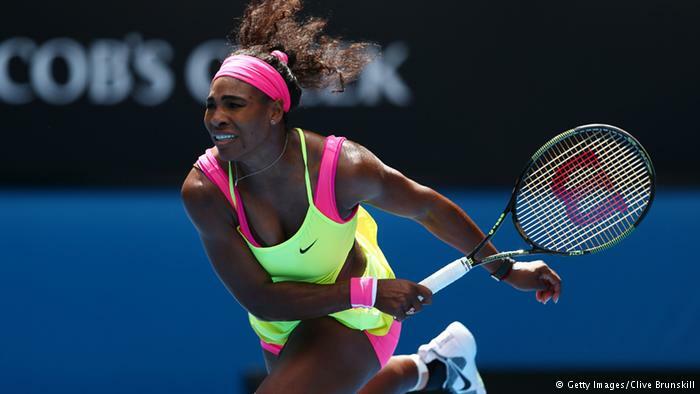 The way she faces her life, the way she is fearless on the court,” Venus Williams said. 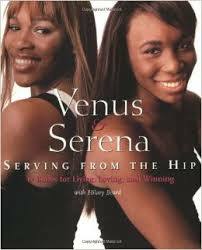 GODSPEED VENUS AND SERENA…YOUR LIVES ARE AN INSPIRATION! Good thing happens when two women who are members of the “Elite 18″ get together for a chat? 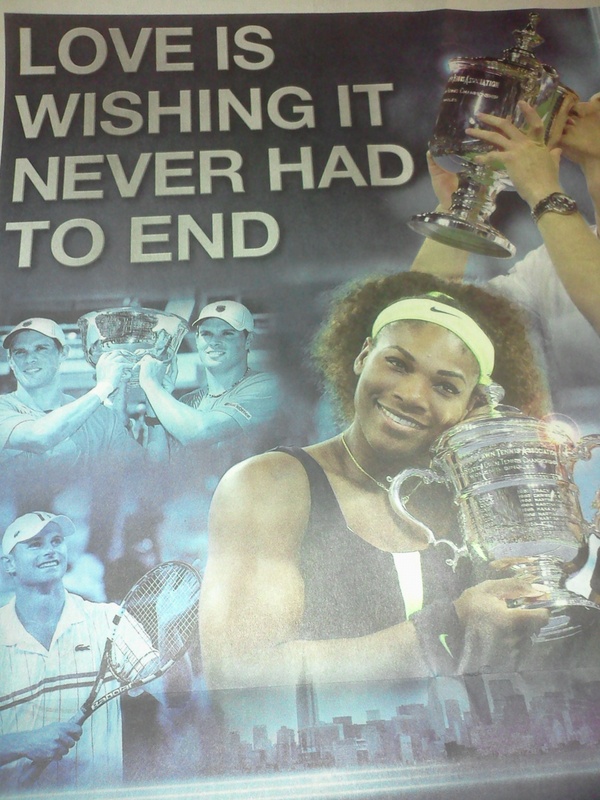 ESPN was kind enough to make it happen, when Serena Williams sat with Chris Evert recently to discuss her goals for 2015. I found the interview quite wonderful, as Evert in a delightfully relaxed interview style, had Serena reflecting on this year; as well, as opening up about friendships, disappointments and the joys of the 2014 season. “One time in my life I would love to hit a ball with you,” said Evert. 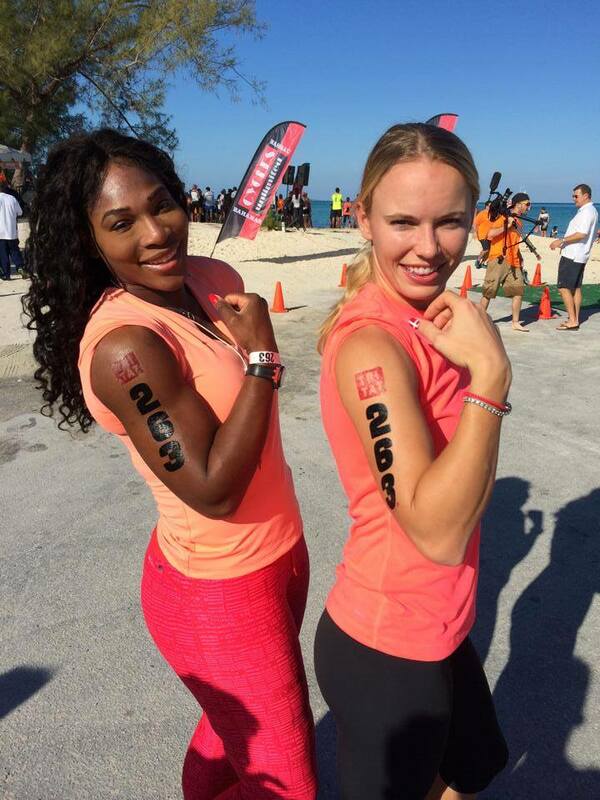 From the interview we are made privy to one of the many (but not often spoken of by the tennis media) reasons why Serena values deeply her friendship with Caroline Wozniacki. Though they both have tennis in common as a career pursuit, their journey to professional tennis play differs. 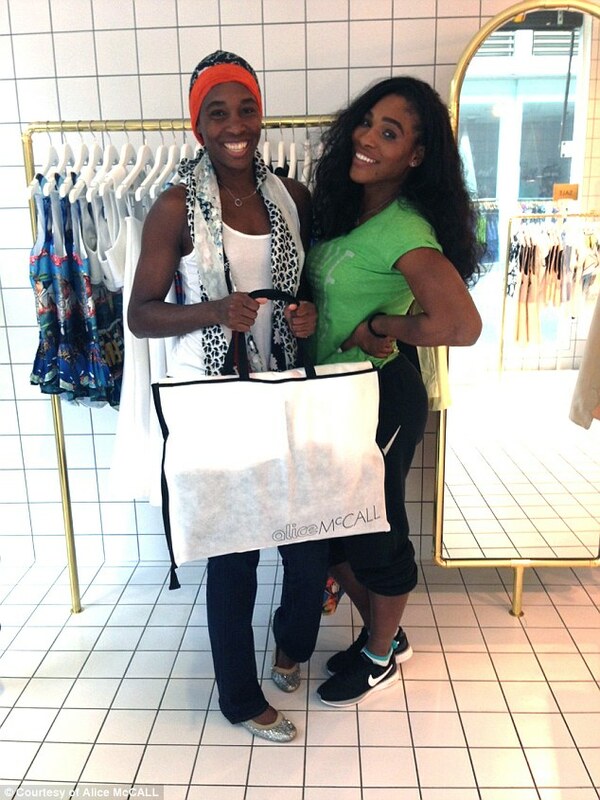 Serena shares that the friendship enables her to gain insight about junior tennis; where Caroline, like most women on tour, got her start. Best gal pals vacation in the Bahamas, 2014. 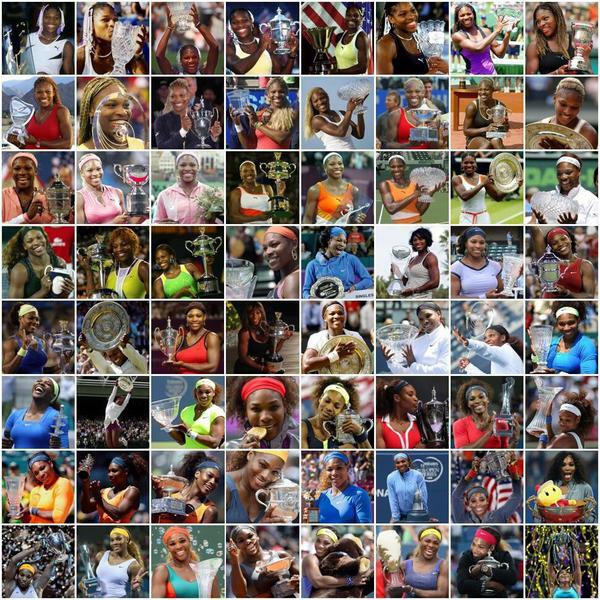 Source Serena Williams facebook page. 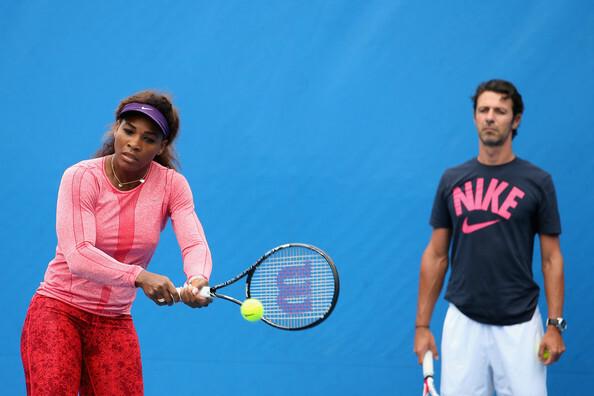 Serena Williams of the United States of America is watched by her coach Patrick Mouratoglou in a practice session during day nine of the 2013 Australian Open ‘ January 22, 2013 in Melbourne, Australia. Evert reminds the World#1 that going into last year, her expressed goal was to make fewer errors. 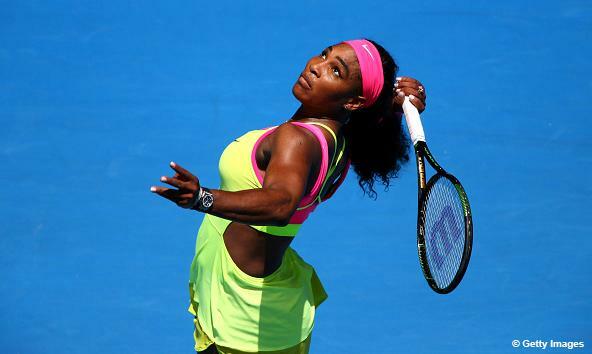 Revealing her commitment to greatness in her game; Serena expounded in specifics about changes in her game that will be her focus in training. 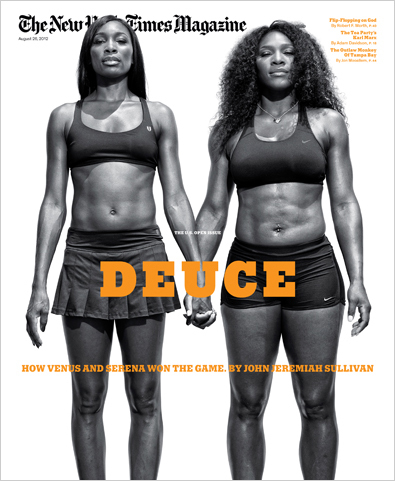 Enjoy reading the full interview at espnW’s Impact 25 and ESPN The Magazine’s Interview. As for me and the 2015 tennis season…can’t wait! 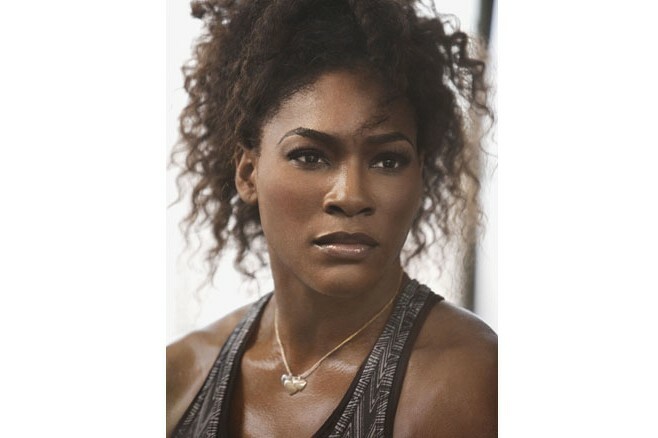 Having reached the record 18 grand slams and joining Navratilova and Evert in that elite club; Serena expressed her perspective on winning more grand slams and perhaps reaching the ultimate…22. 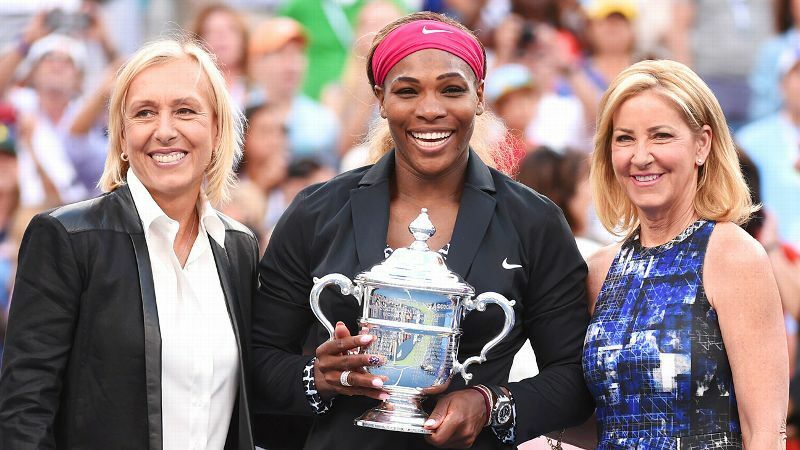 Serena Welcomed into ’18 Club’ of Elite Tennis Players who have won 18 Grand SLAM Titles by fellow tenni greats Martina Navratilova & Chris Evert, who presented Serena with an Engraved 18K Gold Bracelet, at the 2014 US Open. 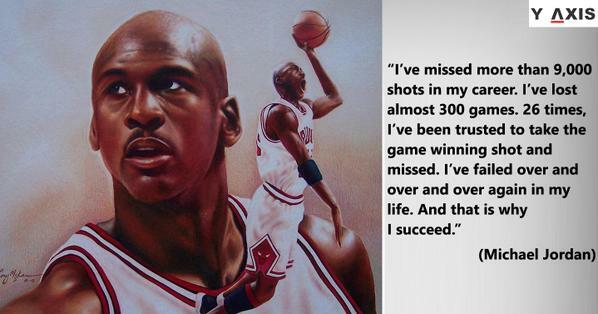 wish it – you on court – would never end!